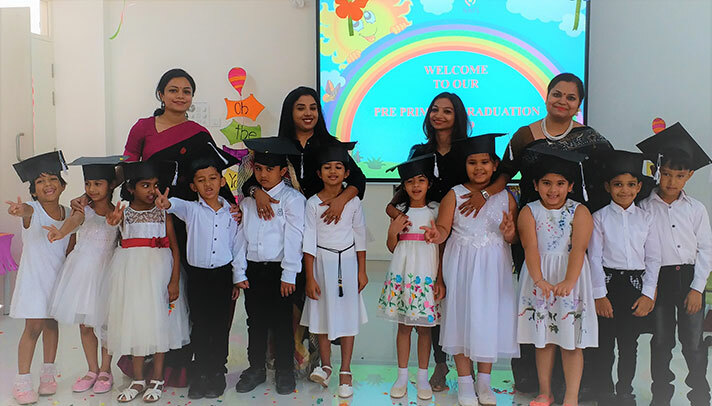 “There is something special about a Kindergarten Graduation ceremony- Innocence retrained, journeys begun and dreams waiting to be achieved”. 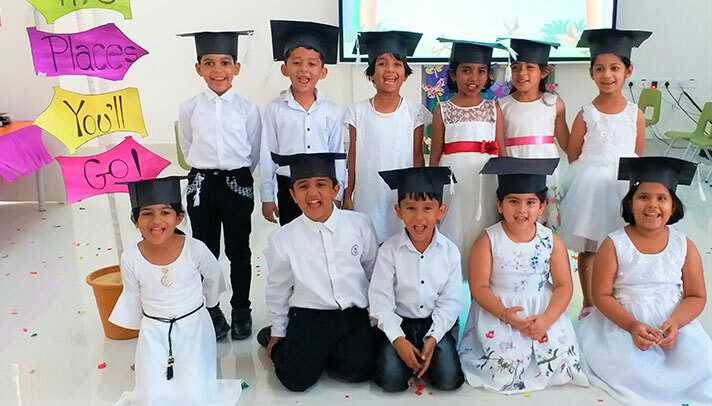 21st March 2019 was a day to cherish as the students of Kindergarten 2 and Montessori 3 graduated. 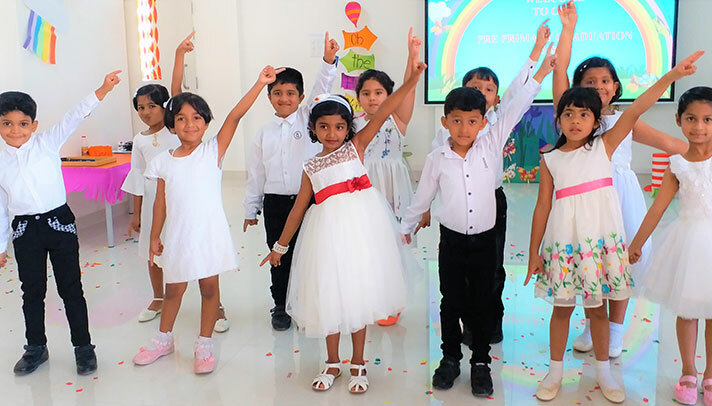 They all looked refreshing and vibrant in their whites, ready to adorn the new colours of Grade 1 just like a new butterfly. The programme began with the lighting of the ceremonial lamp by the Vice- Principal, Ms. Hemalata Pillai and the special guests, Ms. Manasa Bhat, parent of Manvita Bhat and Ms. Poonam Dhir, parent of Jazlyn Dhir from Pre-primary. The graduating batch spoke very enthusiastically about what they learnt during the course of the year and also had a very cheerful performance for everyone present. 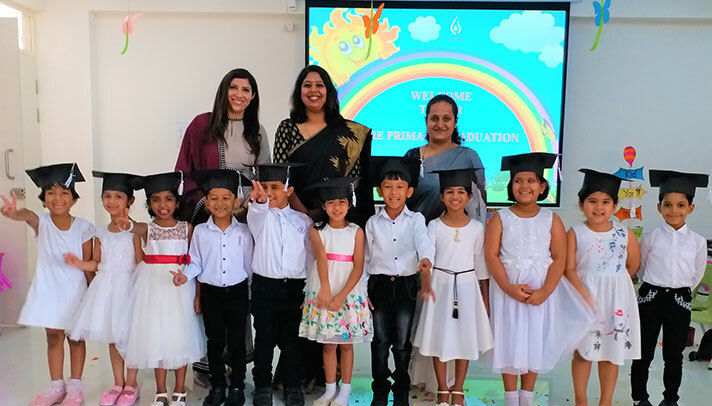 The cultural extravaganza was interspersed with the most important event of the day- The Graduation of KG 2 and Montessori 3 wherein the students received their scrolls from Ms. Hemalata Pillai and the special guests, who then declared them Graduates of 2018-19. 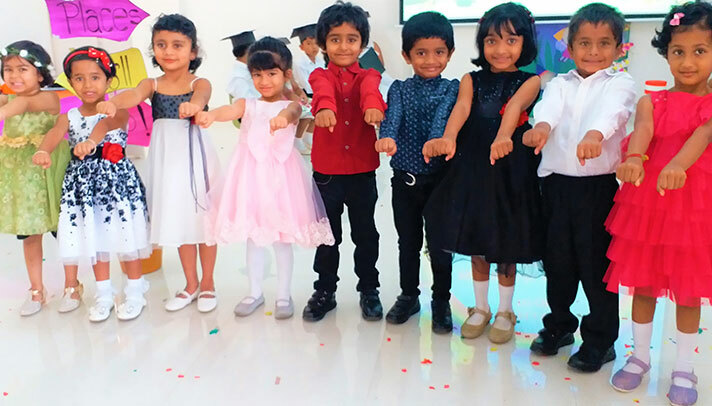 The students of KG 1 and Montessori bid farewell and the Grade 1 students welcomed the graduating batch with a mesmerizing performance. This was followed by the customary confetti throwing on the graduates. A movie on the memories captured throughout the year was screened for the audience. The audience applauded the children's attitude and confidence .A formal photo session for the young graduates followed suit. The fun-filled ceremony ended on a cheerful note with big smiles on the faces of the new graduates.